Rumors this week are that The Magic, The Memories, and You! will have its final performance early next month. Before you start crying foul and sending snarling emails to Walt Disney World, let me say that all signs indicate that this will be a reworking of the show, not an entire scrapping. 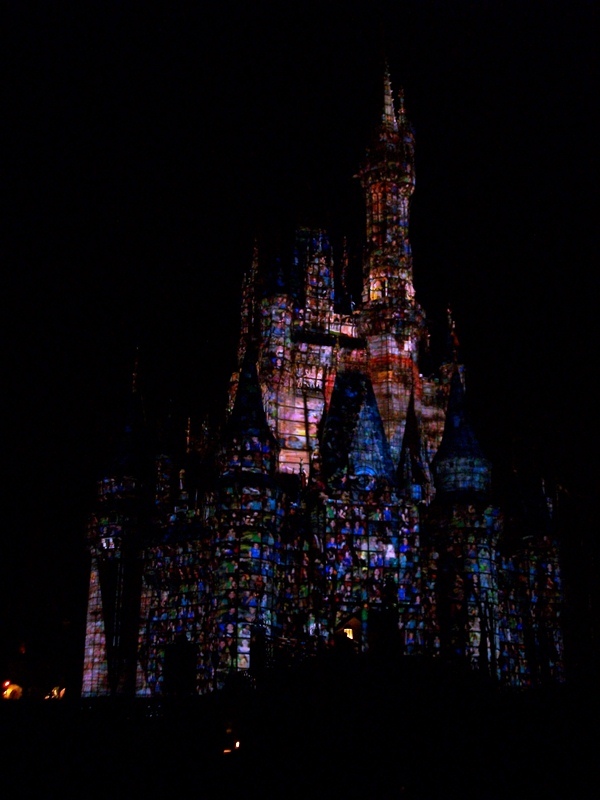 The technology that allowed for photographs and other images to be projected upon the castle will remain, but the name, music, and theme of the show is likely to be overhauled. The Magic, The Memories and You! premiered in January of 2011 and featured photos taken around the park being inserted into various story components, such as pirates, it’s a small world, or balloons, with Cinderella Castle being utilized as a giant projector screen. With the ability to swap out or add in new scenes, including summer and holiday additions, there has always been something new to see with The Magic, The Memories and You! Like many of Walt Disney World’s time-tested shows and parades, The Magic, The Memories and You! tugs at guest heartstrings through its stories and songs, but the true value of the show came from the incredible projections. Honestly, there were times when I watched the show that I thought the castle was being lit up by traditional lights, only to realize that an image of the Cinderella Castle was actually being projected onto the castle. That sort of realism and imagery is an incredible tool around which to build a show, and I suspect the new version of the nighttime Cinderella Castle show will embrace this technology. I will be sad to see The Magic, The Memories and You! leave in September, but I feel as if the show’s run of almost two years has only been a prelude of what is to come next. The whispers are that the new projection show will debut somewhere around the holidays this winter, and I cannot wait to see what the next step in its evolution is! There are so many possibilities. I can't wait to see what comes next! We went in May 2012 for the Everest Challenge and it was a complete surprise. After the fact I had remembered reading, or hearing from Lou, that this was happening, but in the moment I was awestruck. 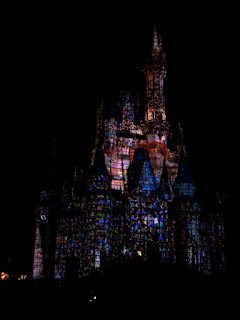 I found the action of putting guest's pictures on the castle very neat, but the accompanying show was just unbelievable. The most memorable scenes were of the Villains burning the castle, and the King and Queen releasing the lanterns for Rapunzel. It had been a very long time that I had been on the WDW Resort and completely surprised with an attraction or show, but this was the one I was not expecting to see.